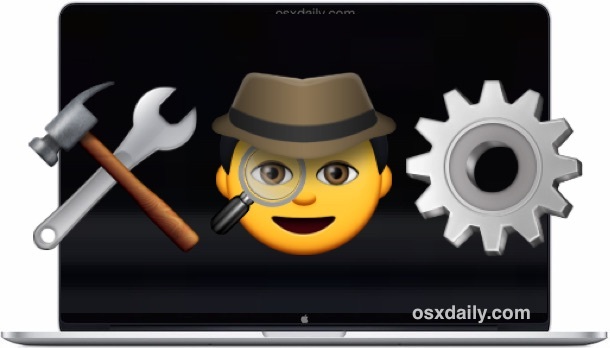 If your Mac is experiencing unusual problems that you suspect may be a result of a hardware issue, using Apple Diagnostics may help to identify and even troubleshoot a problem. Apple Diagnostics will run a suite of tests on the Mac to check for hardware issues – meaning, not a problem with system software, but instead it searches for trouble with some sort of hardware component on the Macintosh. For example, if a port is no longer working, a battery has failed, an issue with the graphics card or display, things of that nature that are not related to system software or software related trouble. Apple Diagnostics is basically the modern incarnation of Apple Hardware Test. Newer Macs will run Apple Diagnostics, whereas older Macs from 2013 and before will run the Apple Hardware Test suite instead. AHT typically displays a bit more information to the end user, while AD is a bit more restrained. Nonetheless, both are initiated the same way, and both are excellent for troubleshooting potential hardware issues on a Mac, regardless of whether it’s an old or new model. 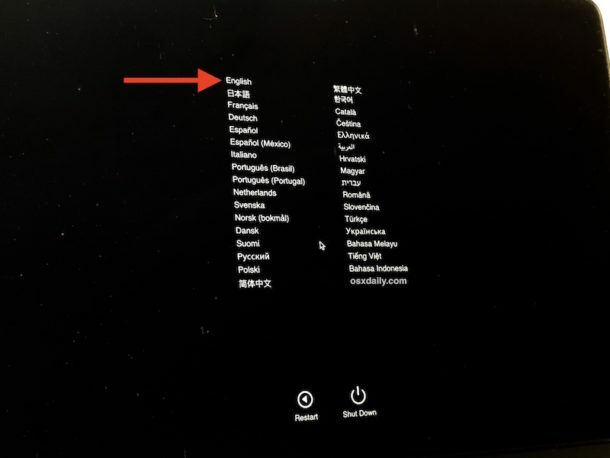 There are many potential error messages that may show up in Apple Diagnostics, and if you’re not sure what to make of them you can check them with the Apple diagnostic code list discussed further below, or contact Apple directly for support options. Keep in mind that not every single hardware issue is going to show up or be flagged by Apple Diagnostics. 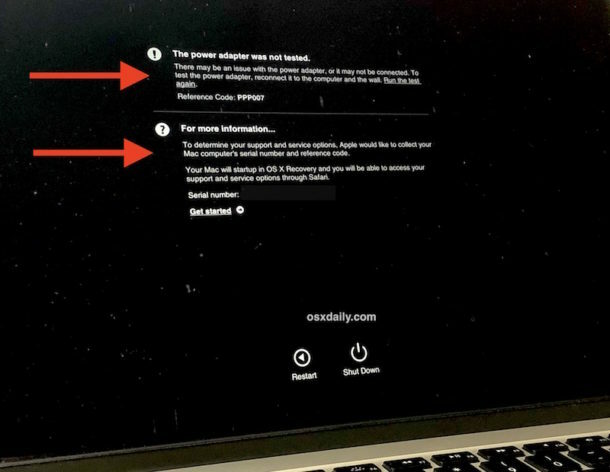 Some more unusual hardware problems may not be discovered by the Apple Diagnostic tool included on Mac, and would need to have additional troubleshooting and discovery tests run by an authorized Apple technician. This can include unusual behavior like a computer that won’t start randomly, or a Mac that randomly shuts down, or some problems with ports or the internal display. Also, any physical damage to the Mac will not show up in Apple Diagnostics, so if your Mac has a big dent in the size or a cracked screen, that will not show up in the hardware test. Neither will something like drying a Mac after the Mac has sustained water or liquid contact, unless the water contact actually damaged something that is then detectable in the diagnostic test. For this reason, the Apple Diagnostic test is not perfect, but it’s a great starting point for end consumers to begin troubleshooting some particularly annoying hardware problems on a Mac, iMac, MacBook, MacBook Pro, or other modern Macintosh computer. You can also run Apple Diagnostics test over the internet by holding down Option + D during system start. This takes a little longer to load, but the hardware diagnostic test otherwise works the same. How do I interpret Apple Diagnostics references codes from a Mac? If Apple Diagnostics reports a potential issue, it will provide a reference diagnostic code and a brief explanation of what the issue pertains to. You can then get further information by making note of the Apple Diagnostics reference code number and checking the Apple Reference Codes page here for additional information. This is a helpful resource and should assist you in troubleshooting a hardware problem. The good news is that hardware problems are rare, and most hardware problems are fixable. In fact, many hardware issues will be covered by the Apple warranty or Applecare Extended Warranty, meaning a repair would be free of charge, as long as the problem is not not from damage or user-caused behavior. What do you get by putting fear into OSX users?! Waiting for fear?! NO! @Mikex69 This hint was not about fear, it was about educating readers to deal with potential problems. I, for one, am grateful for the info.